I learned to swim when I was a kid. I was never very good at it but I could swim confidently enough for my Mum to let me and my siblings go swimming at the weekend by ourselves, and for her to be reasonably OK with us swimming in the sea as kids. I never had good technique, but back then it was more about getting away from your friends when playing “Sharks” or being able to show off doing handstands right? Not sure when I stopped swimming for fun and instead started doing laps…not that laps are not fun but you know what I mean. At some point, I started doing breaststroke and swimming became about weight loss and fitness. In 2005 I signed up for the London Triathlon and realised that my breaststroke would not be sufficient for swimming in the docks…so I did 6 adult swimming lessons to improve my front crawl. I saw great improvement. But come race day, I didn’t actually do much front crawl as I was a bit panicked by how cole the water was and how many people were swimming around me. I fast resorted back to breaststroke and backstroke and the occasional front crawl length just to check I could still do it. 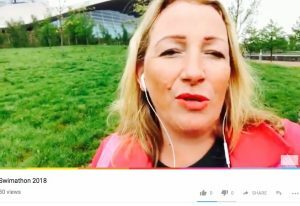 Then the London Aquatics Centre popped up across the road from me (like literally across the road from me) and all of a sudden I found myself in a 50 meter pool and front crawl was not an option…it was just too far to swim and I looked like a donut not being able to do it properly. I swam a bit when my daughter was first born…but then I kind of gave up and stopped going, unless we went together and then it is more about making sure my overly confident in the water 5 year old doesn’t drown. Now I had heard of Swimathon before but had never taken part because I thought you had to be super good. 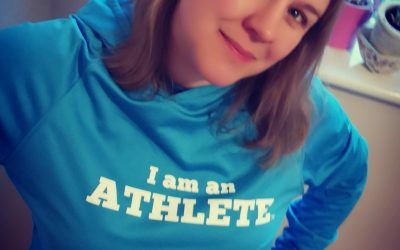 Like be able to swim properly and for ages…I didn’t realise it was suitable for all levels…it 100% is, so when I got the chance to be a local ambassador I was like, yep I can do this and knew it would be a good opportunity to start swimming again more frequently. 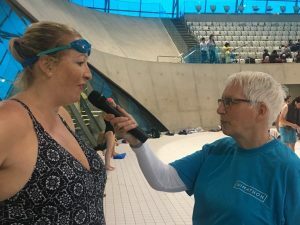 So back in January I headed across the road for the launch of Swimathon, with ambassadors from all over the country plus Olympians Duncan Goodhue and Kerri Anne Payne, it was a brilliant afternoon culminating in a lesson from the experts. Anyway, armed with this new knowledge I set about my training. I hit the pool 2-3 times a week for the first few weeks and then it became a little more difficult as I was also training for the marathon and hitting my busiest time in my business, I was still progressing though and able to swim 1000 meters in a session using a range of strokes. 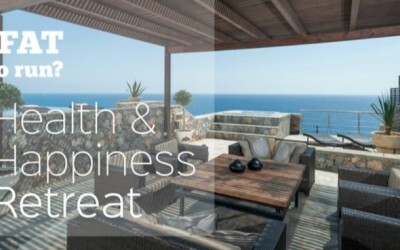 I then had to take a bit of a break because I managed to get a trapped nerve in my neck which was causing a heap of shoulder pain and immobility, so then over the course of 3 weeks had to get xrays, take pills and have regular physio sessions to try and rectify it….without any swimming. I knew I wanted to participate though, I had encouraged 20 or so women from The Clubhouse to sign up, and also my sister and my niece….so my commitment to the cause was still there 100% I just wasn’t sure what I would be able to do come the day. On challenge day I was a bit nervous, but I also knew if I needed to drop down to 400 meters then it wouldn’t be the end of the world. I got my self all sorted with my goggles and stuff, did a quick interview over the loud speaker and handed my phone over to a lovely lady from Marie Curie who agreed to take some video footage and then off I went. I had a whole lane to myself which although was nice it was a bit revealing. There was nowhere for me to hide. The first 2 laps were OK. Slow but OK. I decided I would try and swim for as long as possible front crawl and see where I got to…turns out I can actually swim quite a long way. The atmosphere in the pool was great, there was music playing that really helped…80’s cheese…my favourite. I hoped I would swim 1500 meters…and thought it might take me about 90 minutes. Anyway, I didn’t stop…not once. I just kept going. I wasn’t fast by any stretch of the imagination but I was consistent, and before I knew it I had just one lap left…and thats when the tune “The final countdown” came on…very apt. When I got out the pool an hour and 3 minutes after I went in I actually felt quite emotional. I was really proud of myself for perserving and for sticking with it despite the injuries. The following day I was back at the pool to cheer on my sister and my niece…now this is where it gets funny. My sister Amy who swims reasonably regularly, signed up for the challenge and encouraged our niece Ruby 12 (my other sisters daughter) to take part too. Still with us?? 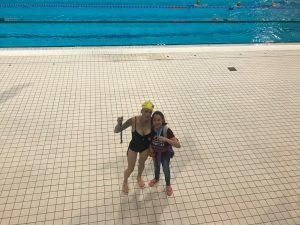 Anyway, a few days before my sister Amy realised she wouldn’t be able to take part (too complicated to explain why) but Ruby would need some support in the pool so Amy convinced Rubys Mum Lindsey to do it….and she reluctantly agreed. So come challenge day they both make there way to the pool and Ruby who has never swam in a 50 meter pool, or one as deep of that, is encouraged by the volunteers to go across to the training pool to complete her 400 meter swim, and Lindsey once in the pool finds out that it is 2500 meters she had agreed to swim and not the 400 she thought it was ha ha….plus now Ruby didn’t need her help. 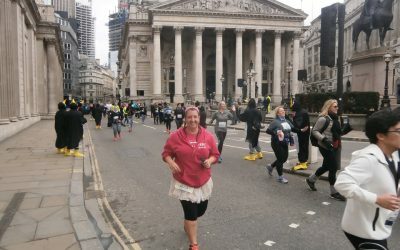 So I sat with my Mum and Sister Amy in the spectator’s areas with some of my nieces and nephews cheering Lindsey on and laughing uncontrollably at how funny the whole thing was. Lindsey had done no training whatsoever and had the worst technique I had ever seen in my life (sorry sis) and she still managed…get this to swim 1600 meters, before deciding she had had enough and got out….and in around an hour and twenty minutes. 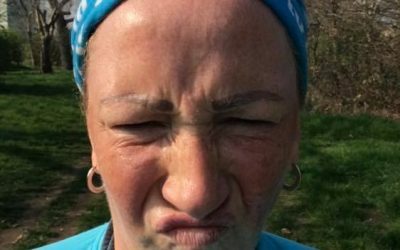 She had asked the volunteer keeping count if she still got a medal at 32 laps and when she found out she did she called it a day…I don’t blame her. I am so incredibly proud of both my niece and my sister. Ruby has been really committed since registering for the challenge and started swimming lessons to improve her confidence, and Lindsey showed real determination and grit, and a good sense of humour as we laughed at her lack of training. So, if that hasn’t inspired you to get involved in Swimathon next year I don’t know what will. 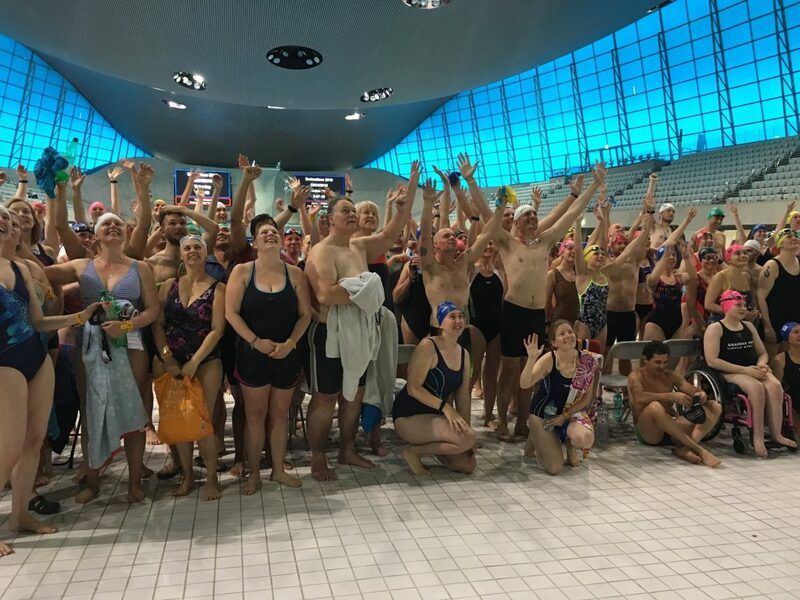 Swimathon has raised almost £50million in its 30 year history, for Cancer Research and Marie Curie and it really does show that swimming is for everyone. I was gifted an annual swim pass by Better London, the folks who manage the London Aquatic Centre, to ensure my swimming wasn’t just for the challenge. I intend to get back in the pool and work on my technique so I can build some speed, and perhaps get up to 5K – 100 lengths of the pool, in time for next years challenge. 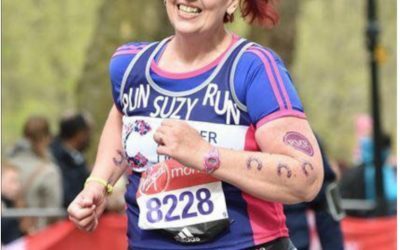 My sister Amy has promised she will do her 2.5K challenge some time this week….you have seen it here so she has to do it now, right??? I’ve even said she can have my medal….and a lovely medal it is too.